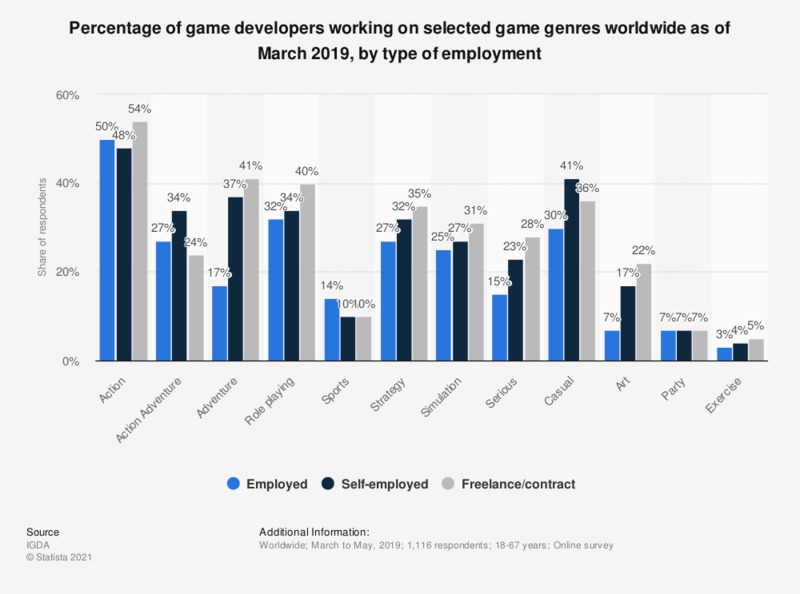 The statistic shows the percentage of game developers working on selected game genres worldwide in 2017, broken down by type of employment. According to the survey findings, more than half of the responding game developers who were self-employed were developing action games, followed by 40 percent who were working on casual games. Have you taken on, or would you consider taking on, apprentices in your company?